The entire Drone Rush team is made of passionate drone pilots, we enjoy all level of multi-rotor machines, and any other style of UAV. We understand that we live this stuff, immersing ourselves in the drones and technology every day, but you may not. Join us today to learn some basics and get a handle on which list of drones is best for you. Across our site you’ll find dozens of lists of the best drones for a given approach to flight. We’ve left you to scour the site to find the list you like best, until now. No matter what type of drone you are looking for, you’ll find the appropriate list below. 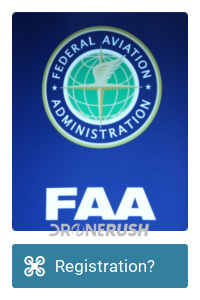 New rule in 2019: You need to affix your FAA drone registration number to the outside of your drone. 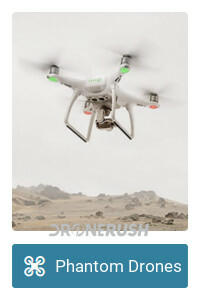 Please get used to seeing this article, we will update it very frequently as we add new best lists of our favorite drones. I won’t ask you to bookmark this page, but it will highlight the best of what we do here on the site. Let us tease a little, changes are coming. We’ve been working on a new design for the site, it’s more function changes than visual, but we’re super excited for things to come. Soon. Before we dive in, I think it’s important to explain a few things. In terms of the consumer machines that we buy to fly at home or for commercial use on a smaller scale, a drone refers to a flying machine. The definition of the word goes well beyond flying machines, however, as most robots or remote controlled machines, for land, sea or air, are accurately categorized as drones. When we say UAV, we are limiting our scope within the drone market – an Unmanned Aerial Vehicle is exactly what the name implies. What is a drone, exactly? Bringing it all together, the FAA states that anything that weighs less than 55 lbs is considered a small UAV. Small UAV, or sUAV, best fits the scope of the majority of what we do here at Drone Rush. 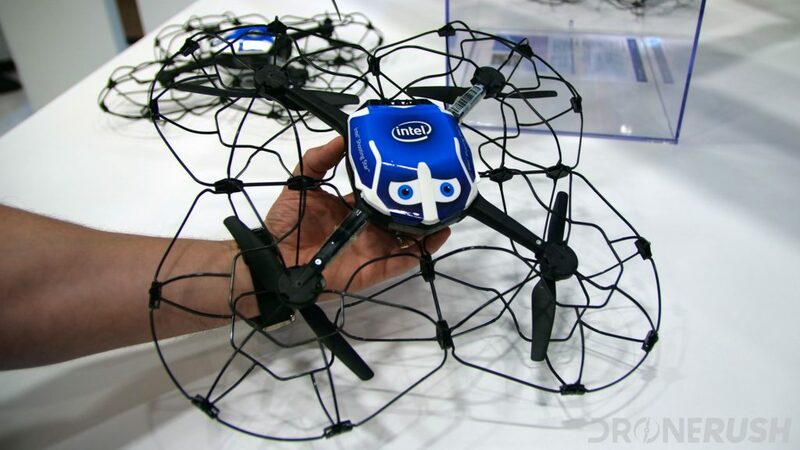 These are the drones that we can buy at the store and fly in our backyards. The main reason we stick to this segment of drones is simple, the FAA, as with many aviation authorities around the globe, require special licensing to operate craft that are 55 lbs or heavier. They require even more certification to operate craft that carry people. 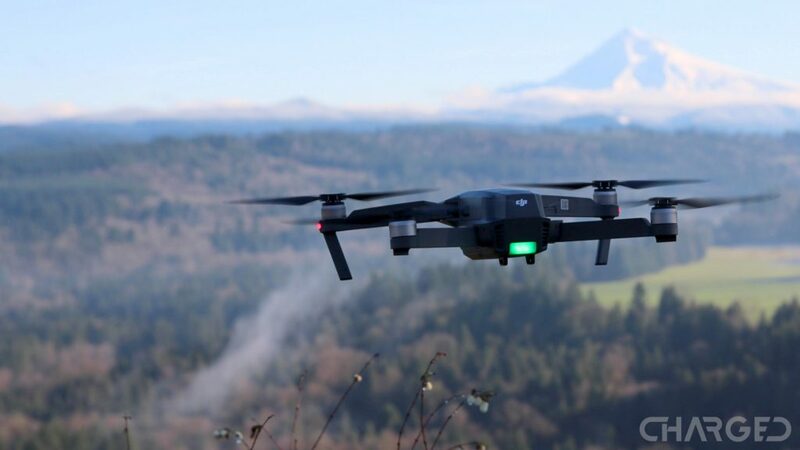 In short, ignoring the drone registration process that is currently not in effect, anyone can buy the drones in our lists and head to their backyard to fly. 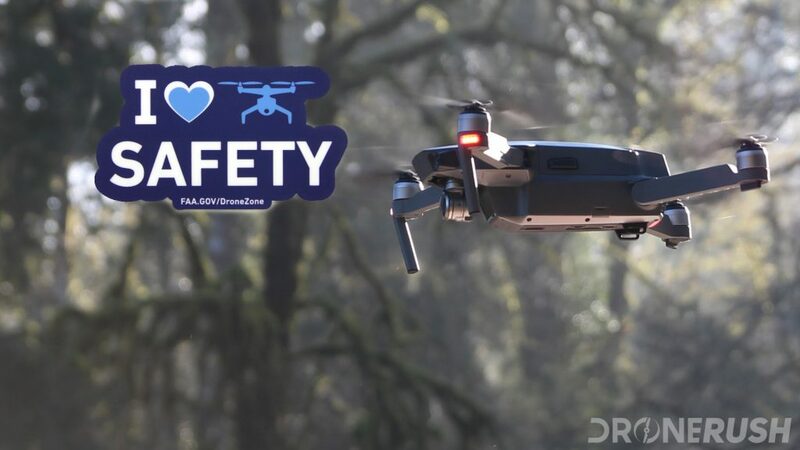 Update: February 2019 – You must affix your drone registration number to the outside of your drone. Update: December 2017 – the FAA once again requires registration before you fly your drone. No matter where you live, no matter what licensing or registration is required of you and your aircraft, there are rules on what you can and cannot do with your drones. You need to know these rules and abide by them. We focus on the rules in the United States. They are not the most restrictive in the world, but they have been largely adopted by many countries. Plus, we fly mostly in the United States, sometimes Canada, so these are the rules we are most familiar with. For the most part, I’m happy to say, the flight rules imposed by the FAA are fairly common sense and focused on safety. Almost all of the rules are based on the safety of others around you. The primary rule on that is that you cannot fly your drone where it can put passenger aircraft at risk. Then, you cannot fly over people. The remaining rules essentially stem from those. In the United States, the FAA has authority over the air, but other departments may have rules on the ground. For example, you cannot fly in a National Park. Even if the FAA airspace is clear for you to fly, you will have to abide by the ground rules as well. These are serious as well, get caught flying somewhere that violates both ground and air no-fly rules and you could face large fines and even jail time. Finally, never forget that even when flying by the rules, you may still be subject to civil lawsuit if your craft injures somebody. I know what you’re thinking, this is just a toy, why so many rules? Those of you that have flown hobby RC aircraft before may especially feel the pain of all these new regulations. Thing is, these flying machines are capable of putting cameras in places they do not belong, which is another consideration altogether. The most important reason for all these limitations, the FAA does not control the design of your drone, it is on you to stay below 55 lbs. The bottom end of that is 0.55 lbs as far as previous registration goes, but again, anything smaller than that still has to follow the rules. Now, while your palm sized drone would be sucked up and spit out of a large jet engine without notice, a 54 lb metal drone would decimate a smaller manned aircraft. Accidents happen with these things as well, a 54 lb drone dropping out of the sky from a couple hundred feet would kill a person on the ground. To this end, the only other rule we will speak of here, you should never fly your drone above 400 feet above the ground. In the metric world, they usually limit you to 120 meters. This is to protect the upper airspace for other air traffic, and to assist in one of the most policed FAA rules, you must fly within line-of-sight at all times. I think we’ve covered enough of that, let’s move on. 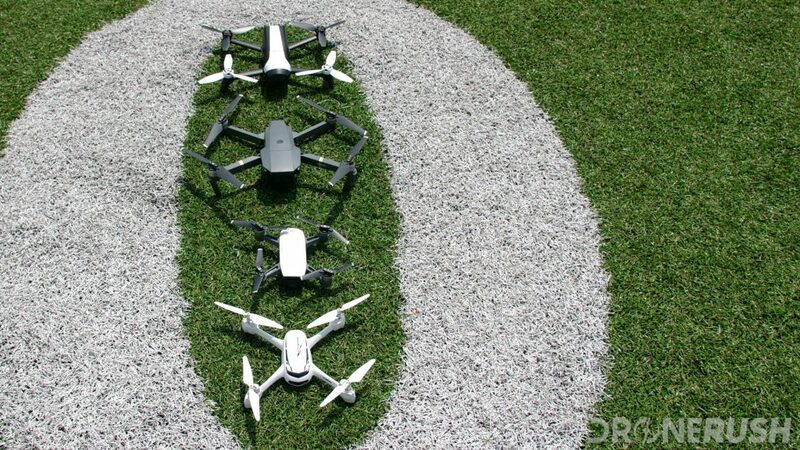 There are a hundred ways you can separate out drones into separate categories. We’re trying to keep things simple, after all, there are only a few hundred drones out there worth buying, and even then, we’d say less than a hundred drones make our best lists. We’re always excited to find new machines. 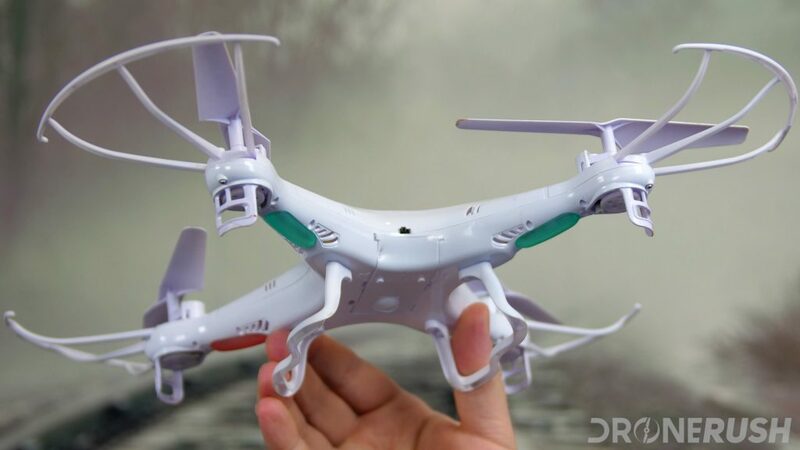 You will see the same drone on multiple lists on the site. Our approach is to let you know what we think are the best drones in a segment. We don’t pick segments in order to promote a drone. To this end, the best beginner drone may also be the best small drone and one of the best camera drones. Our lists can be grouped in different segments themselves. We have lists based on price, lists based on your intended use, lists based on your skill level and more. I don’t believe there is anything more to say on the matter, let’s get into the lists. No matter what you are doing, what your price is, this is our list of the best drones across all sizes, costs and uses. No limitations, this is our list of the best drones on the market today. We have plenty more to read if you are interested in the science of drone flight. We are not physicists, but we know just enough to explain some of the basic concepts of how drones operate, how they fly and how to do so effectively. Be sure to check out our selection of Science of Flight articles to learn more. It’s always about the money, right? At this level of drones, you should expect toys, and little more. 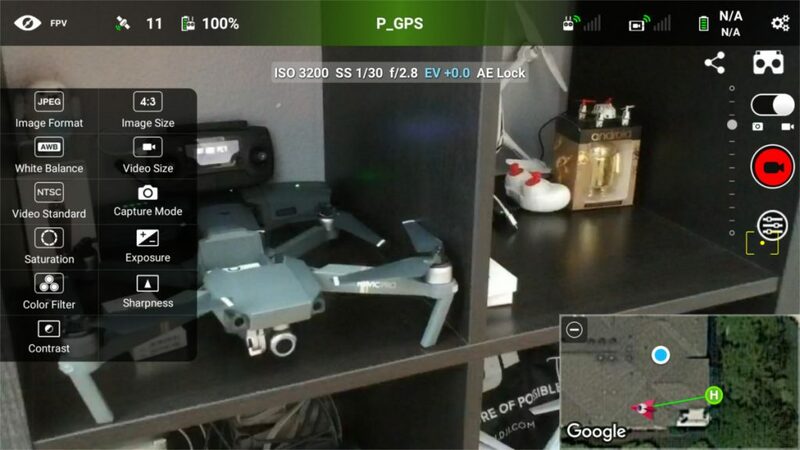 Most drones below $100 do not offer GPS, for navigation or to help the drone hover in place, and if they have a camera, it is often very low quality. 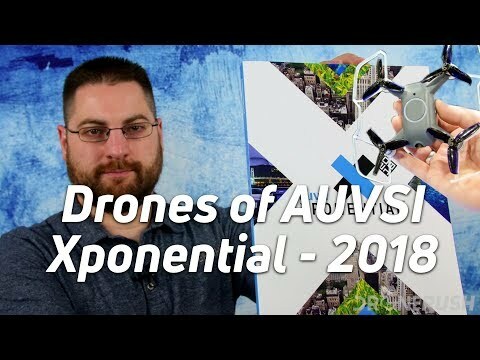 You can have a ton of fun with drones under $100, they are ideal for learning how to fly, but if you are looking to put a camera into the sky, these are not the drones you are looking for. The next step up includes machines that offer a little more than a basic toy experience. We’re getting into the toy-class machines that offer GPS, FPV cameras and a stable flight, if nothing else. These are our favorite machines under $200. Stepping things up a little, you can expect GPS integration with a smooth hover on a drone in this range. 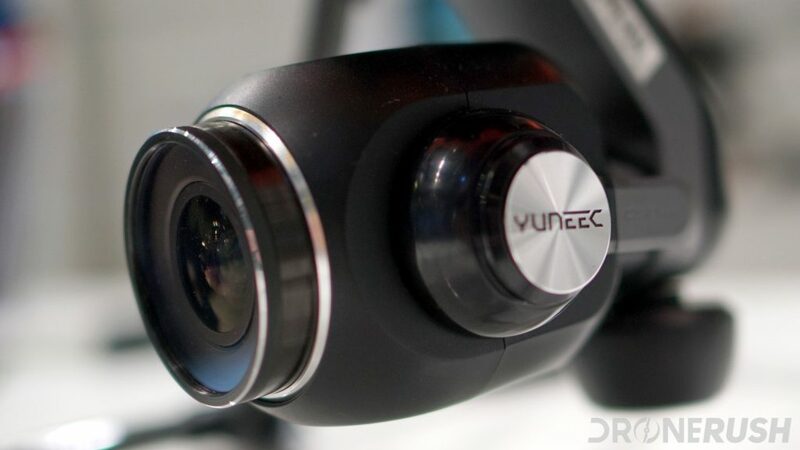 The camera will be improved as well, but it may not be stabilized and will still be a lower-end sensor. This is also the range you should expect to find the best racing drones, if you like that sort of challenge. 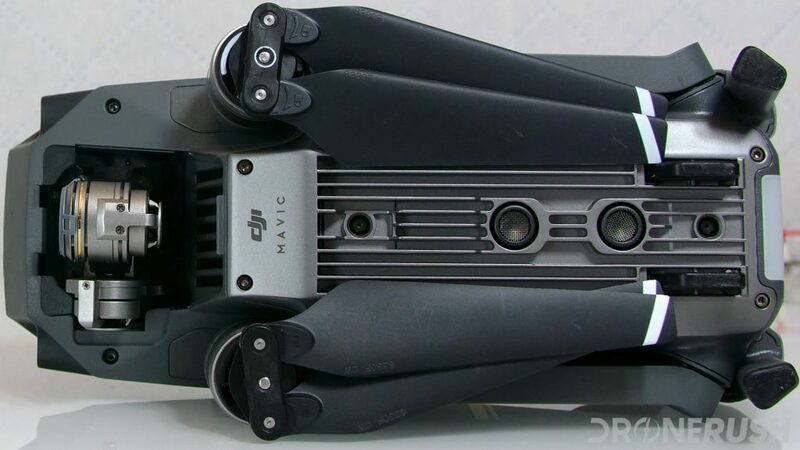 A $500 drone is a serious machine, but is still a drone to fly and not likely to be the camera in the sky we all dream about. You’ll likely still find an HD camera though, so don’t lose hope just because there is better out there. 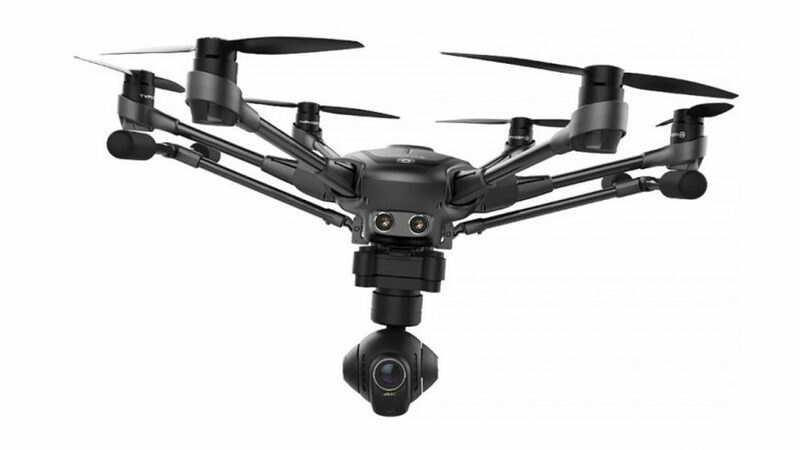 When you get close to one thousand dollars for a drone, you can begin to expect superb flight capabilities and a really good camera. This level of drone is most likely to be able to hover in place with great precision when your hands are not on the sticks. You should also expect a 4K camera sensor with a gimbal for stabilization. Now, just to keep your expectations in check, you can produce some fantastic video from the sky with a drone at this price point. However, you should know that the next level of machines is where the camera capabilities go to the next level. Allow me to use the DJI line as an example. 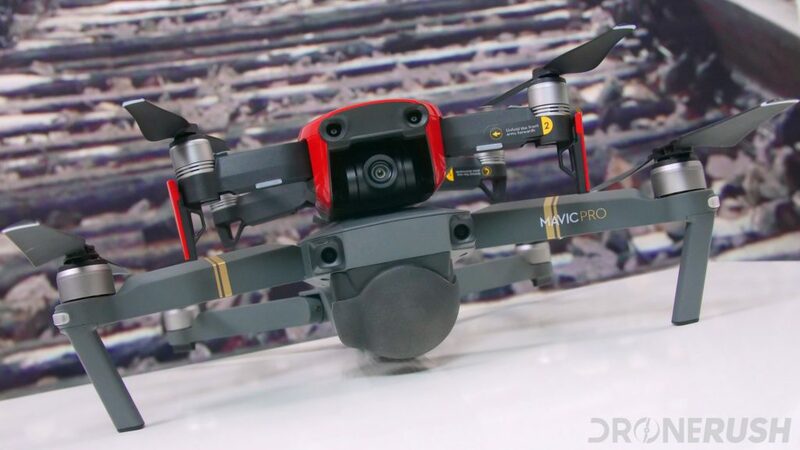 For $1000 you can purchase the Mavic Pro. 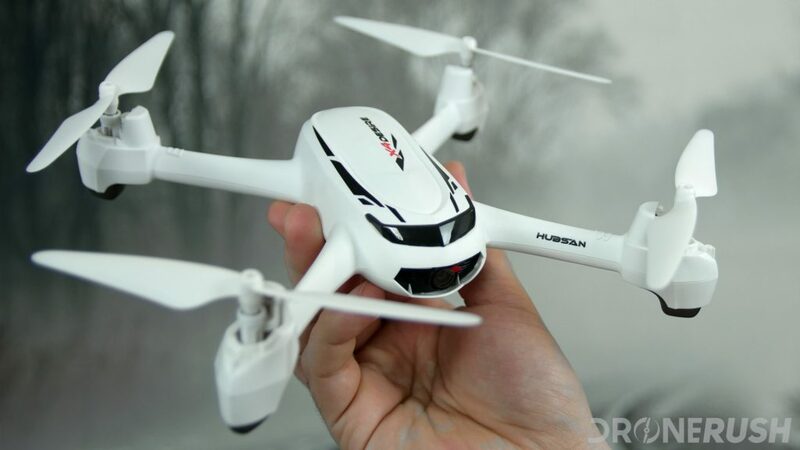 It is one of our favorite drones on the market, certainly still our top pick for a well-rounded purchase. The Mavic Pro has a 1/2.3-inch camera sensor, which is good, but suffers in low light situations and, to be fair, creates good, but not great images and video. 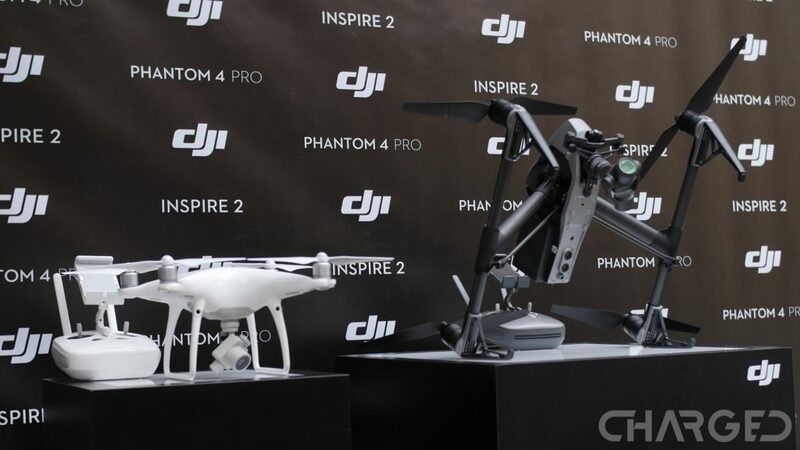 The next machine up, for about $1400 is the Phantom 4 Pro. 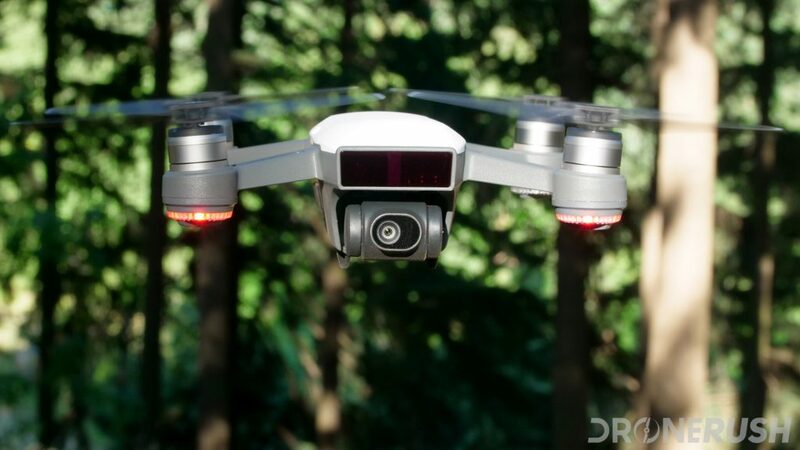 The newest Phantom drones have a full 1-inch camera sensor and a hanging gimbal. They are also larger drones. The result, as you might imagine, the Phantom 4 Advanced and Pro drones create some of the best video from the sky in a flying package under $2000. Back to my point, if you are looking to get into the world of drone photography, but are not ready to commit to full professional gear, the $1000 price point is where you want to be. Forgive me for explaining this again, it just occurred to me that the drone photography market and DSLR market are fairly similar right now. $500 is a good starter machine, $1000 is high-end consumer products, then $2000+ is where the professionals live. You know there are $300,000 drones out there, right? It’s always prudent to start at the beginning. We created a list of drones for first time pilots that is not the list of cheap toys you might be expecting. Like this outline here today, our Beginners list takes into account the various things you might like to do with your machine. For children wanting a toy up to professionals that just need to get started, we’ve got a drone for you. 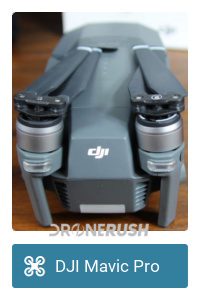 I would have named this list the best drones to give as a gift, but that’s a little off the mark as well. Our primary focus in this list is simple, we assume you are giving a toy drone to a younger child. 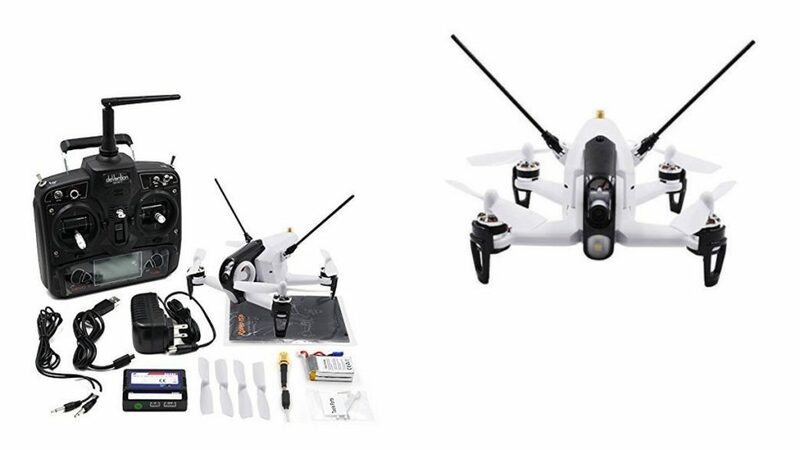 These are solid starter drones that are fun, safe and easy to operate. We tried to stick with machines that would be easy to repair as well. Don’t tell my wife, but I fly my drones in the house all the time. I take precautions, but I have to know which machines I can trust and which must stay outside. If you desire to fly in your living room, I’ve got a trial and error tested list of the best indoor drones ready to roll. Enjoy. Do you have the need for speed? It’s exhilarating, that’s for sure. Before you dive in, we have a guide to help you understand what is needed to race successfully, just some simple things to know before you fly. 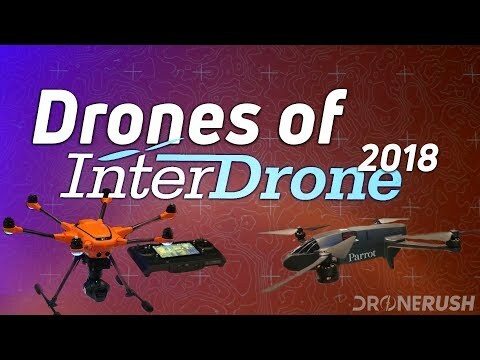 Most of the drones in our racing list are off the shelf solutions. The reality is that the more involved you get in the scene, the more likely you are to build your custom rig. We all have to start somewhere though, these drones should get you going. Grabbing a racing machine that can keep up with the experienced racers in your local league can be a daunting task. If you are not looking to go pro, just to have a bit of fun on a budget, there are a good number of racing drones under $250 worth considering. The ultimate in fun for toy class and racing machines, these are the drones that perform some sort of trick in the air. Flips, spins and more all at your fingertips, these are the best stunt drones. 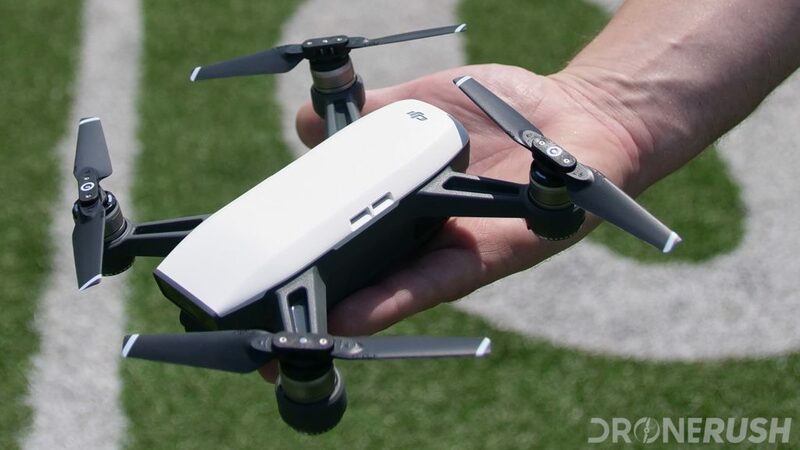 When portability is the name of the game, these are the drones that will best travel with you. Fold them down, slide things in, snap them together and slip them into a small bag. That’s not entirely true, some of the best folding drones are huge machines that have no choice but to fold for transport, either way, great drones that fold are but a click away. One of the best safety features on a quality drone today is RTH, that is, a Return to Home feature. 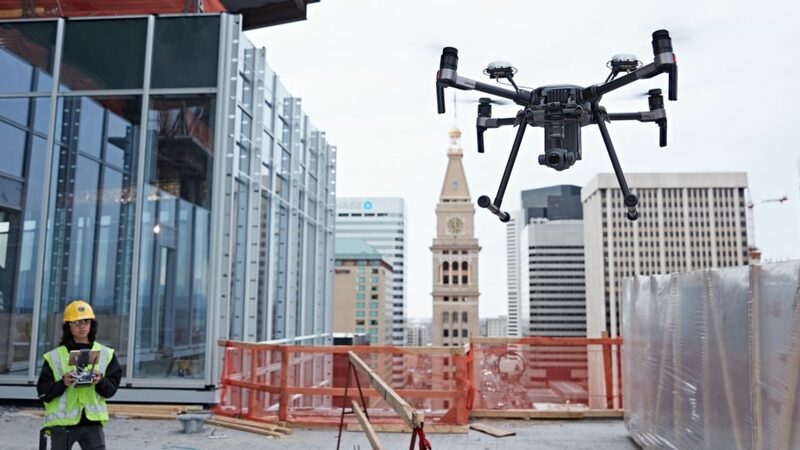 These machines use a combination of GPS, images and your remote control as guides to automatically and autonomously fly your drone to a safe point. By default your drone will return to where it first took off, not your house, that’d just be weird. Enjoy this combined list for now, we are going to split it into two eventually. Commercial drones we consider to be the ones that effectively perform aerial inspections, and professional drones are the ones we consider to best satisfy the needs of a movie studio. At this time, however, both of these drone types require great cameras, both require long flight times at high speeds and to fly very stable. The best of each segment works great for the other. For now. For many, putting a camera into the sky is the name of the game for drones. From smaller units that get the job done, up to the powerful machines that satisfy the best Hollywood studios, there is some impressive equipment in this list. 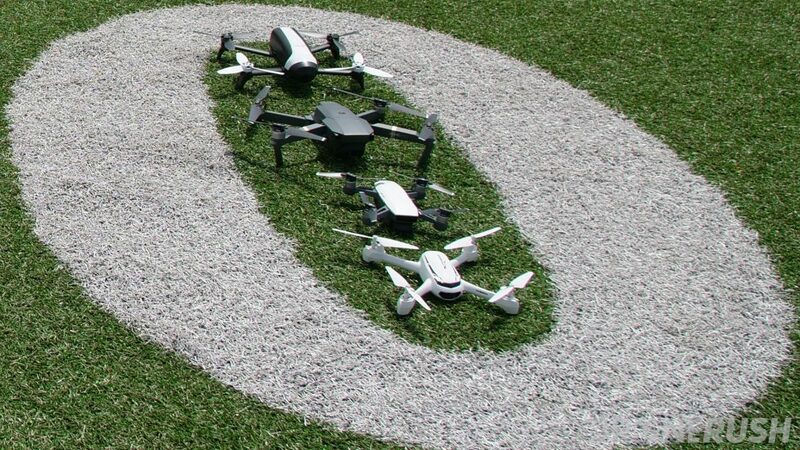 Some of these drones pack their own camera, others are designed to haul your traditional camera into the air. We understand that selfies are a new thing, and that many are into taking them. The hassle has always been finding a way to take a shot of ones’ self from different angles and from far enough away to tell a story. 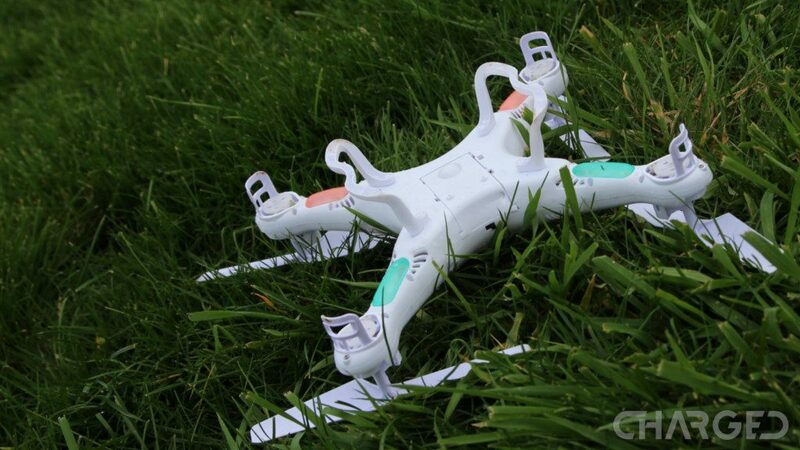 Enter drones, the flying camera solution to the selfie game. Wherever you go, these drones shall follow. At least that’s the plan. Capability varies from drone to drone, but the very best follow me drones keep a lock on you and manage to avoid running into obstacles on the way. The average drone in this bunch has basic obstacle avoidance sensors and will come to a halt before colliding with something, so at least your drone will remain safe. For the longest time GoPro cameras were the standard of excellence in outdoor action video. This translated into flying machines as well. Those days are all but gone as the top drone manufacturers are building their own cameras. If you have a GoPro you want to put in the air, there are machines to help with that. Bad news, the GoPro Karma itself is officially discontinued. Remember, drones are not entirely limited to things that fly. 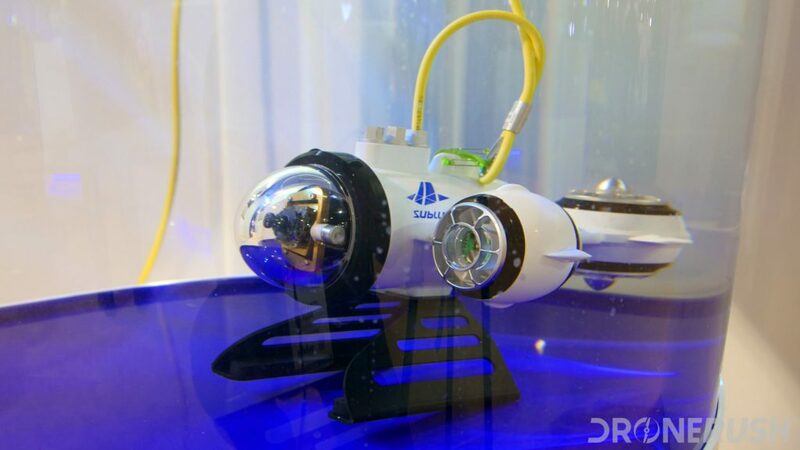 While the majority of this list does explore waterproof UAV, there are also some submersibles to consider. From the sea to the sky, these drones can get wet. 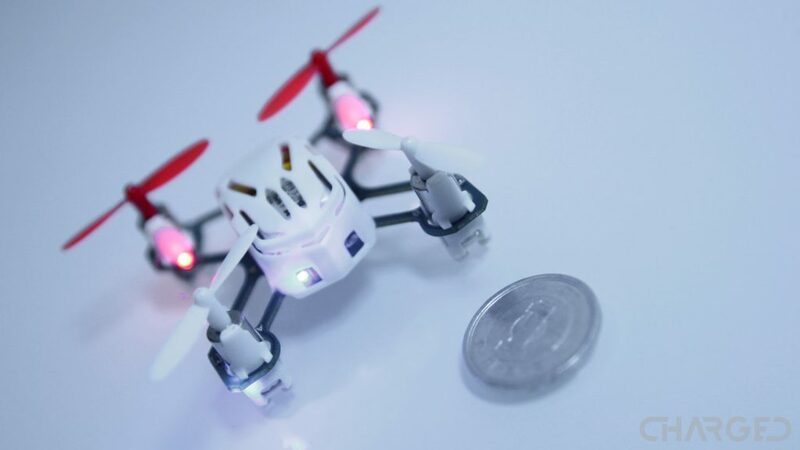 The smallest of the small, these are the drones that fit in the palm of your hand. I don’t just mean that you can hold them easily, I mean you can fit the drone and its remote in one hand, sometimes the drone fits into a compartment in the remote, even. 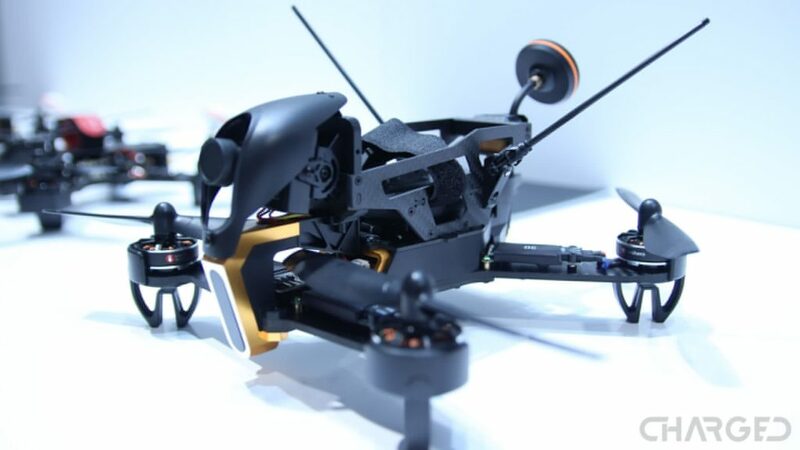 These are tiny machines that are safe to fly indoors. Stepping up a little bit, these are the small drones that are great for portability. Not entirely toy-class machines, these drones are small enough to launch from your hand, but are still best to launch from the ground. Convenience is the name of the game. 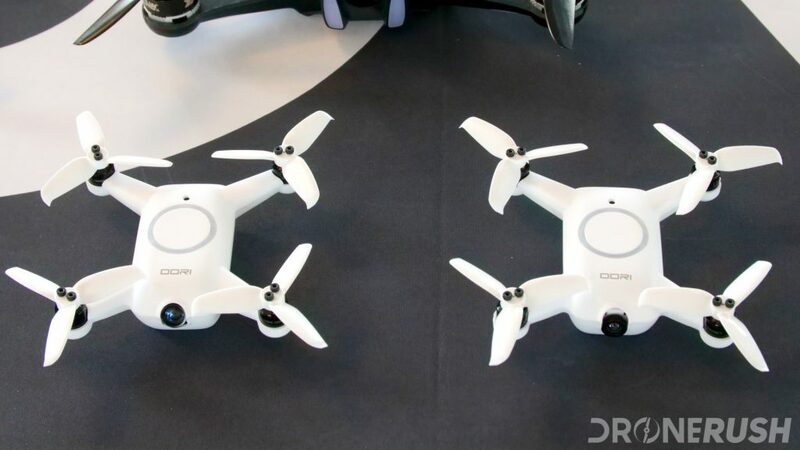 Small drone or big drone, what size is right for you? 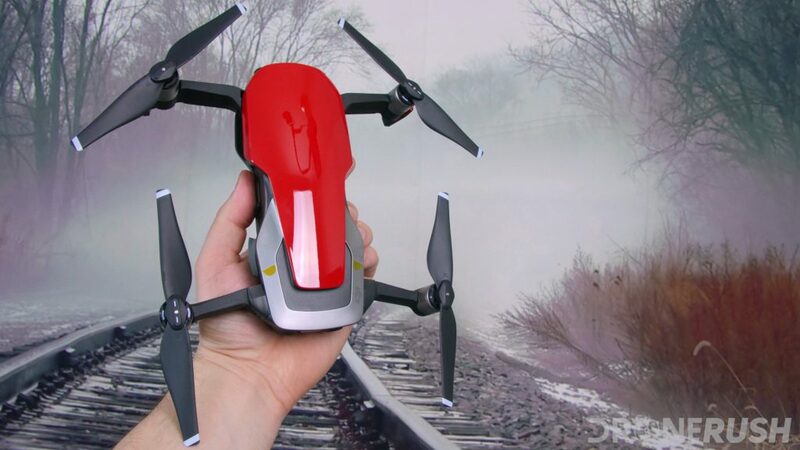 The smallest drones easily sit in the palm of your hand, but the upper end is limited only by that 55 lb weight limit by the FAA. Depending on your materials, you can get a mighty large machine into the air under 55 lbs. Join us to learn some of the pros and cons of each size class of drone. Small drone or Big drone? There is more to flying than just having a drone, you’ll need all manner of tools to enhance the experience. These tools include things like a lanyard to support your remote, a bag for transport and the best software to ensure safe and legal flight. We gathered together what we think are the most important tools for any drone pilot. Safety and convenience are the name of the game, focusing as much on the tools to fly as the tools to make flying easier. After all, the easier it is to fly, the safer you can be in the air. One of the key aspects to modern drones is not just that they have cameras on-board, it’s that you can view the video stream from that camera live in flight. 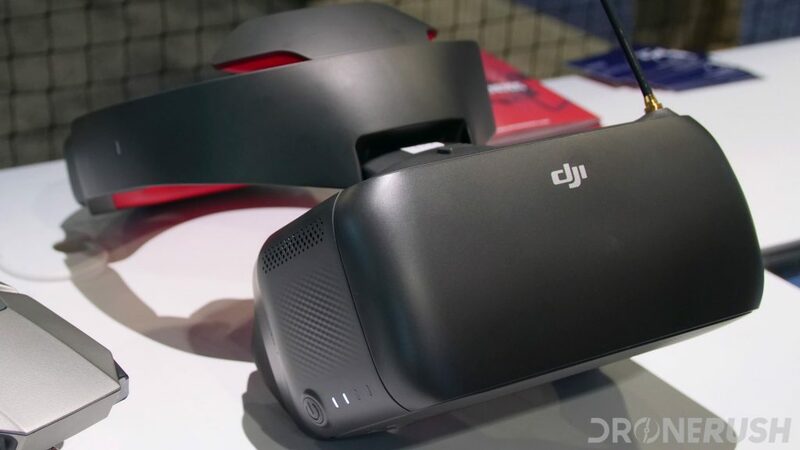 Mobile devices are the main way to see what your drone sees, there are dedicated displays you can get or AR and VR headsets that change the experience altogether. Whether you are looking for a tool to add data to your flight, or for a way to completely immerse yourself in the experience, there is a display for you. Where you going? Let’s be honest here, only a very few of us can launch a drone from our own property and get an enjoyable flight. Even fewer of us want to fly from our own homes, we’d rather be out where there is epic scenery. 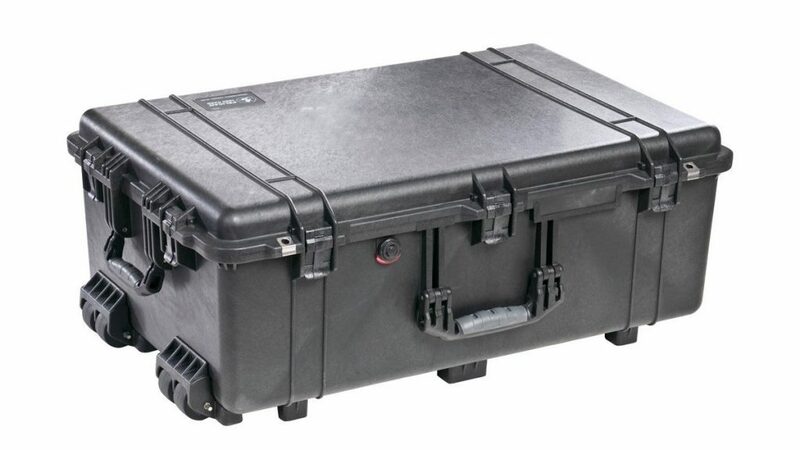 To get there, we have a small list of bags, backpacks and cases to help haul your drone safely. If you are looking for the manufacturer produced apps that you absolutely need to fly your machine, that list comes next, this list is the alternative apps that simply enhance your flight. Including pre-flight apps to help check the weather or to see if you can legally fly at a location, flight time apps like for flight insurance and more. This list will empower your flight, even if it does not directly affect it. It is almost certain that the first time you take your drone out you will be using a mobile device as part of the flight systems. That mobile device is going to require an app in order to talk with the drone. The info for that app is probably easy to find, but if there is any doubt, here is the list of the apps you need to fly for each manufacturer. 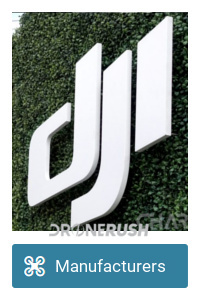 DJI, in case you missed it, is one of the top dogs in the consumer drone game today. 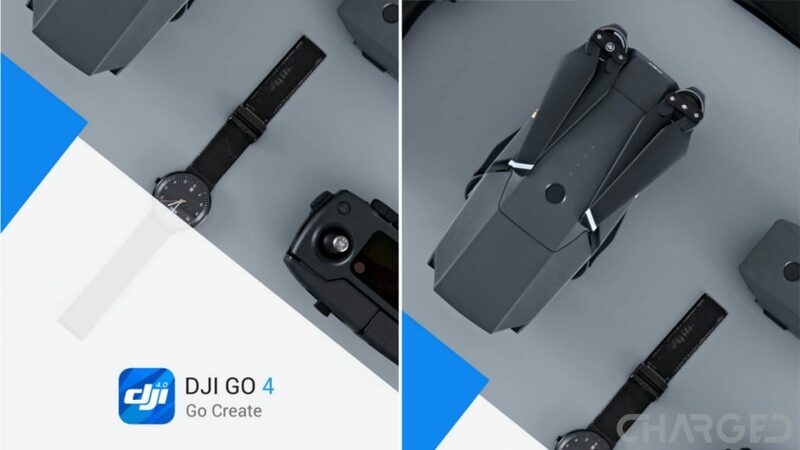 They DJI GO 4 application is the tool required to fly most of the their best machines, or is it? 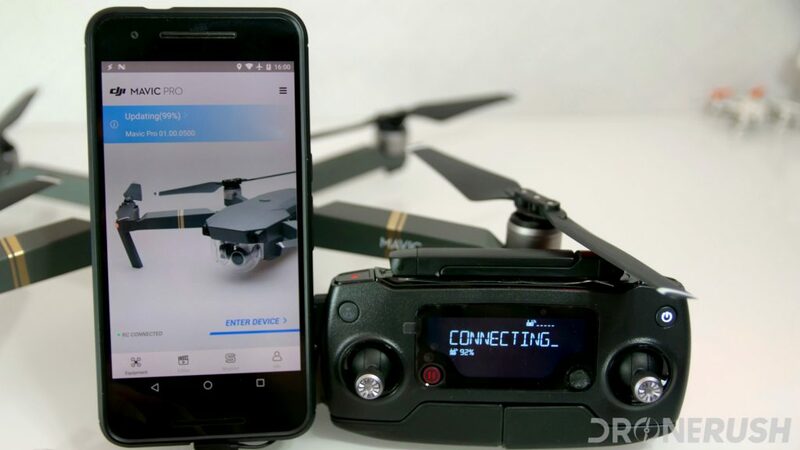 Join us as we explore a few app alternatives that can put your favorite DJI drone into the air. Finally, if you are familiar with a particular drone company, you can think of this as a sort of history for each manufacturer. 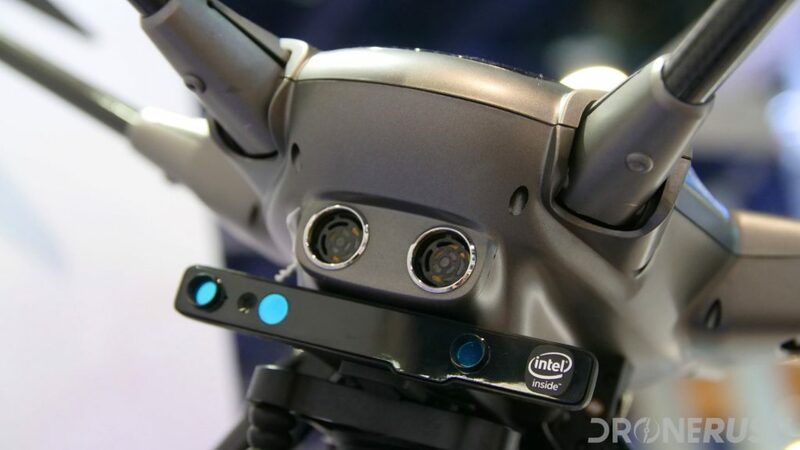 From Autel Robotics and DJI up to Yuneec and ZeroTech… we only just now thought to organize them all alphabetically, oops. 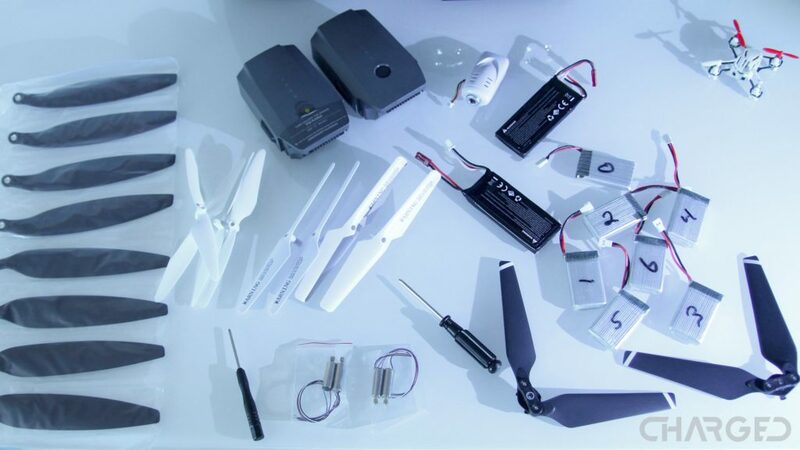 If you would like to see what drones a particular manufacturer produces, our drone manufacture list can get you started. We usually start our search at Amazon, but there are a handful of other great places to go drone shopping. See a few in our slowly evolving list of best places to buy a drone. 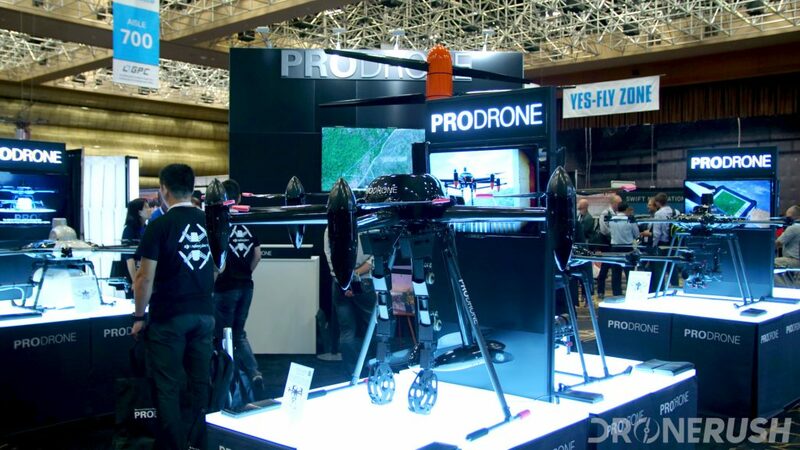 Continuing our efforts to visit as many drone manufacturers as possible, we attended InterDrone 2018. This is a mainly commercial drone convention, but a significant gathering of top drone manufacturers and law makers. We spent a fair amount of time learning about business solutions and machines for surveying, mapping, inspection and more. Mainly, our visit with AirMap was the biggest eye opener, learning just how in-depth their system goes, creating nearly a one-stop-shop for pilots and for drone support companies. basically, if there is an airspace map in your favorite drone app,there is a good chance it has an AirMap back-end. 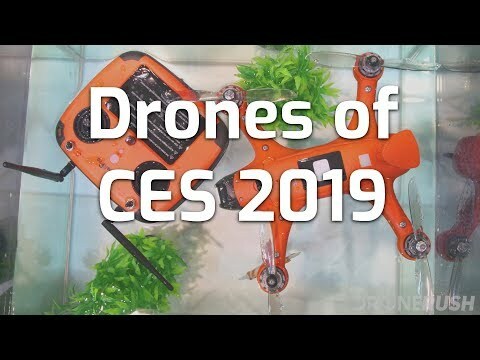 Looking for the best of the latest and greatest that was on the show floor of CES 2019? We sure were, and here are our findings. We want to take a moment to thank you. It is your support that keeps us going. Each time you visit the site we are inspired to create more content for you. Each time you leave us a suggestion or constructive comment on an article you help us grow. We are passionate about things that fly, but we are still learning the industry. Finally, we do not want to put advertisements on this site, but we still need to pay the bills. 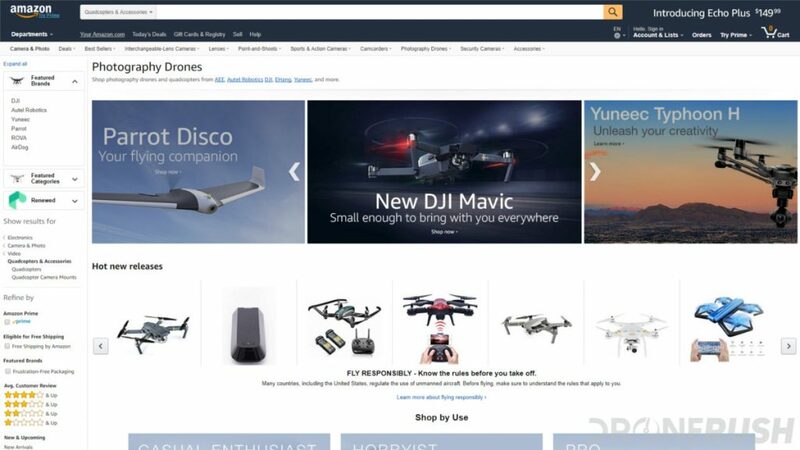 We do receive a small amount of affiliate commission when you use one of the links on our site to purchase a drone. Keeping true to you, we will never ignore a good drone for lack of affiliate eligibility. Your trust is our main goal. We welcome your ideas and suggestions, we have many more lists in the works, but if you have an idea for a grouping of drones, drop us a comment and we’ll get to work on it. Thanks again everyone, fly safe out there, and have fun!